The documentary film by Baby Ruth Villarama, the first of its series of films intended to chronicle the growth of the 22 boys selected by the Philippine Football Federation (PFF) from among the 1,000 aspirants to be part of the ‘Little Azkals’ (under-11 team) will be shown for two days—today, October 25 and tomorrow, October 26 at SM Cinemas: SM MOA, SM Megamall, SM South Mall, SM Sta. Mesa, SM Fairview, SM Manila, SM Marikina, SM Bacoor, SM Iloilo, SM Cebu, SM North EDSA, SM Davao, SM Cagayan de Oro, and SM Bacolod. 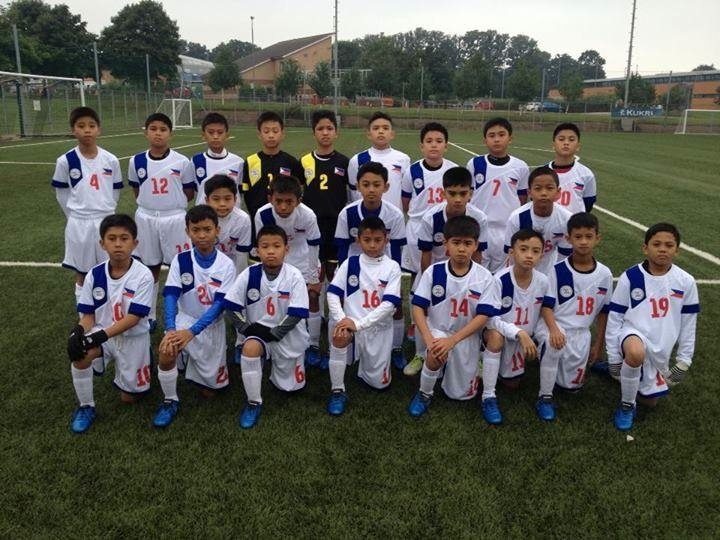 The future of Philippine Football – the 22 boys dubbed as the ‘Little Azkals’. Photograph taken in Loughborough University. The 22 boys are Drexler JonesValencia, 11 of Dumaguete City; Charles Clarence Unabia, 12 of Cebu City; Jan Karl Soloma, 11 of Iloilo; Nicolai Art Abalos, 12 of Laguna; Agiel John Rojo, 11 of Koronadal City; Yuan Josemari Reña, 11 of Cebu City; Jil Sander Pillora, 12 of Iloilo City; Jacob Joaquin Pedernal, 12 of Quezon City; Michael Johann Osorio, 11 of Muntinlupa City; Robert John Orr, 12 of Mandaluyong City; Greg Naquines, 12 of Cagayan de Oro; Shemrei Marabillo, 12 of Negros Occidental; Jose Dante Miguel Gutierrez, 12 of Makati City; Joie Caesar Gaid Jr., 12 of Bukidnon; Ildefonse Xike Yie Zandre Escobin, 12 of Laguna; Tristan Karl Enad, 12 of Cebu City; Vin Joel Dela Cruz, 12 of Mandaluyong City; Shane Niel Clemente, 12 of Malabon City; Chevy Deo Celeste, 12 of Negros Occidental; Josh Rupert Asignar, 12 of Cebu City; Amir Anure Amaikurut, 12 of Davao City; and Mark Zidane Alanquihan, 12 of Dipolog City. It will highlight the colorful adventures of the 22 boys when they were sent by the British Council, which was also supported by Pru Life UK, ABS-CBN, and SM Cinema for a three-week elite training in United Kingdom’s Loughborough University. Also, its objective is to inspire not just the boys who were drafted to look forward to participating in the 2019 FIFA under 17 World Cup as well as the 2014 Olympics. 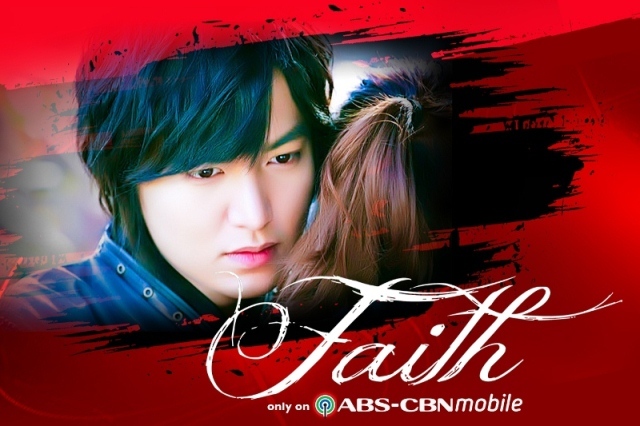 ABS-CBNmobile features Lee Min Ho starting today! The 27-year-old Korean actor-superstar Lee Min-ho, who gained popularity via his TV series—‘Boys Over Flowers’ (2009), ‘City Hunter’ (2011) and ‘The Heirs’ (2013) will be featured exclusively on ABS-CBNmobile’s show—the 2012 series ‘Faith’ (The Great Doctor) that premieres today, October 20. Lee Min-ho’s character as Choi Young, a royal bodyguard of a king in the past quite similar to the writer Chrétien de Troyes’ Lancelot; introduced in the 12th century. In ‘Faith’, Choi Young was sent by the king to go through the magical portal to get heaven’s doctor, which happens to be a doctor from the future named Eun-soo. He falls in love with the doctor from the present-day. Their love story transcends time and space ensues in the process. The series combines fantasy and history, which makes it more interesting for the mobile viewers to watch due to the heart-stomping action scenes as well as elaborate heavy costumes. The said series had its special advance screening on Saturday, October 18 at the proscenium designed Dolphy Theatre (ABS-CBN Studio 1) in Quezon City. Enrique Gil, dubbed as this generation’s Prince Charming and was last seen paired and shared limelight with Liza Soberano, the leading lady-to- watchout-for, who were last seen together in the 2013 romantic comedy flick ‘She’s the One’–will be introduced as the newest Kapamilya love team via ABS-CBN’s upcoming primetime romantic drama series titled, ‘Forevermore’ and will be directed by the box-office hit director Cathy Garcia-Molina and Ted Boborol. 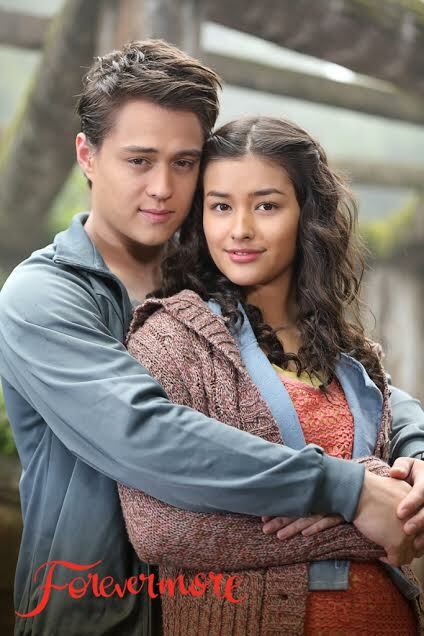 Gil as Xander and Soberano as Agnes in ‘Forevermore’. Photograph courtesy of ABS-CBN’s Star Creatives. The series is about the first love that blossomed between Alexander ‘Xander’ Grande III (Gil), a rebellious and irresponsible unico hijo of a hotel magnate, who will meet and fall in love with Marie ‘Agnes’ Calay (Soberano), the feisty and hardworking Strawberry Jam Queen of La Trinidad, Benguet. It is certain that Filipino fans would love the newest team-up between a Filipino-Spanish-German actor and a Filipino-American actress. The latter was vocal about her ‘crush’ toward the young Cebu-born Quen (pronounced as Ken). This is another Star Creatives production, the same group that brought viewers, the hit romantic drama series of ‘Princess and I’ and ‘Got To Believe’. Apart from that, its breathtaking backdrop promises to be another treat for the viewers’ delight when it comes to cinematography. For more updates, follow Star Creative’s twitter account.